Arcadia Publishing wants to do a book on Social Circle! We are seeking photographs and captions of Social Circle through the years. At least 200 photographs are needed, although more are welcome. We would like to include all aspects of the community, people, places, events, landmarks, and more. If you have pictures and information to contribute, or if you would like to assist in assembling this information, please let us know. All costs associated with publishing this book are covered by Arcadia Publishing and the book will be available at Barnes and Noble, Amazon, and local stores. We anticipate approximately a one year effort to collect the images, prepare the captions, and publish the initial issue. Groups will be able to purchase the book at a discount to resell for fundraising. Help us capture the rich history of our Social Circle community. For more information, please contact Jenny Watt, Community Marketing Specialist, at 770-464-1866. The Social Circle Fire Department is looking for volunteer firefighters. The department offers free training, pay per call, and enrollment in Ga. Firefighters Pension Fund. If you’re interested in becoming a volunteer firefighter there will be an organizational meeting on March 13, 2017, at 7 pm, at the Fire Station. Completed applications can be dropped off at the Fire Station or brought with you to the meeting. To be eligible to be a volunteer firefighter you must be at least 18 years old, have a high school diploma or equivalent, complete background check (no felonies within 10 years), and maintain a valid Ga. driver’s license. For more information, contact Chief Ken Zaydel at 770-464-0621. Construction work on the roundabout at West Hightower and Alcova Rd has slowed down while the utilities are being relocated. Comcast and the City of Monroe have completed their moves. AT&T is in the process of moving all of their equipment and are currently ahead of schedule. At this time, we expect the roundabout to be complete by the end of April. throughout the city. This tape allows easy identification for the GIS mapping team to locate each hydrant and put them on the map. Social Circle Comprehensive Plan Coming Soon! In the next few months, the City will be seeking public input on a Vision for the future of the City. With your input, the city will develop goals and a community work plan to support that vision. Look for more information on meetings, workshops, and other opportunities for you to share your opinions and suggestions on transportation, housing, economic development, infrastructure, community facilities, natural resources, parks and trails, historic preservation, and other topics of concern. For more information contact Adele Schirmer, City Manager at 770-464-6901. 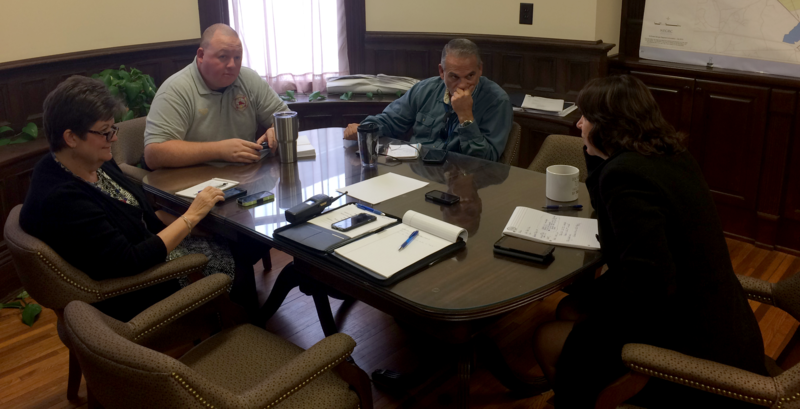 City officials met this morning to plan for the winter weather expected this weekend. This evening, city crews will salt the the main roads in anticipation of freezing temperatures and precipitation. We will monitor the road conditions around town in the morning and throughout the weekend and spread more salt as needed. Please stay off the roads for your safety and to ensure that emergency vehicles can respond to emergency situations. The Social Circle Welcome Center was flooded after heavy rains on Monday. 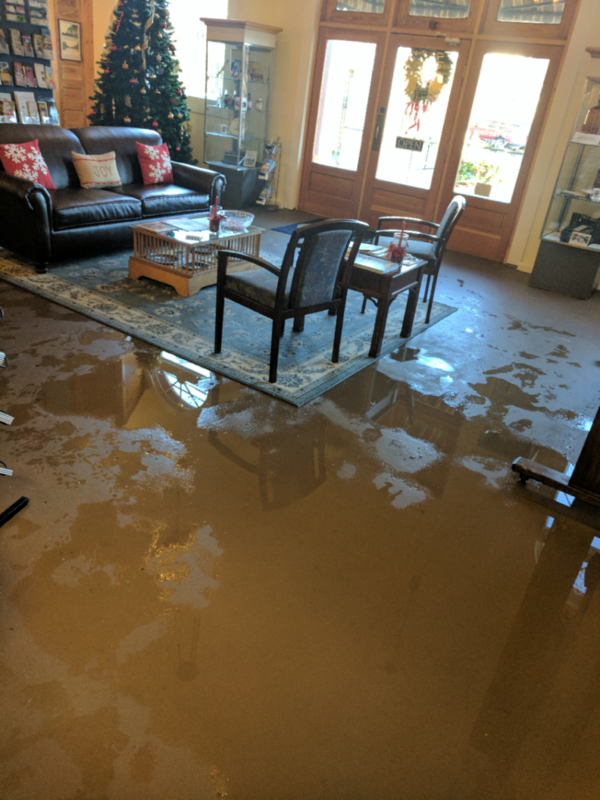 The water came through the back and because the sump pump had ripped a breaker, the water flowed from the back all the way to the front of the Welcome Center. 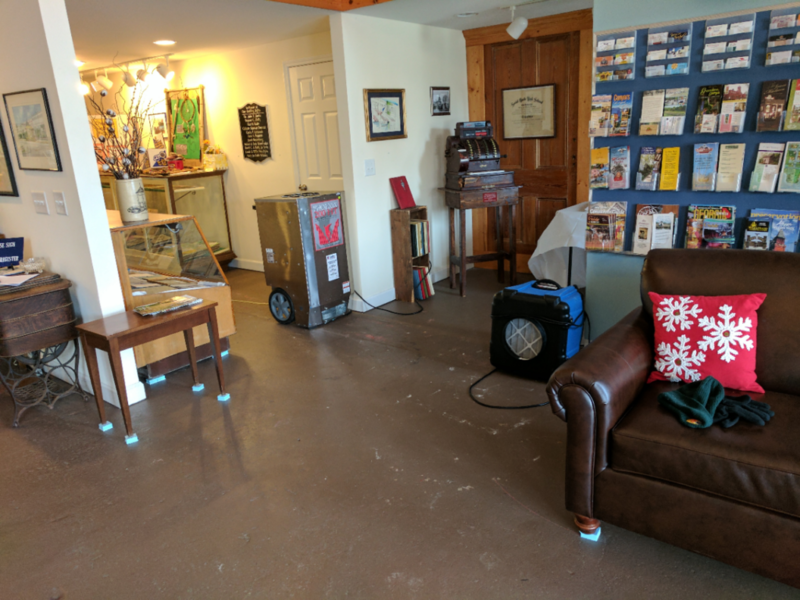 There is no damage to any of the artifacts, but water soaked the rug and into the walls. The company hired to clean up is running a dehumidifier and fans to dry out the water. Some of the walls may need to be replaced. At this time, we think the Welcome Center may be closed to the public for about two weeks. Once you have finished enjoying your Christmas tree, recycle it! 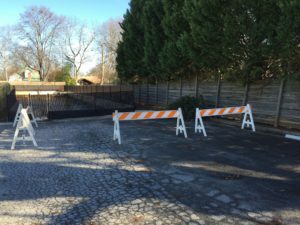 Bring it to the parking lot behind the Police Station and we will work with Keep Walton Beautiful to turn the tree into mulch that will be used for playgrounds, local government beautification projects, and individual yards. Drop your tree off anytime through Saturday January 7th. Bring One for the Chipper is Georgia’s annual Christmas tree recycling program. Each year, Keep Georgia Beautiful works with private sponsors to organize the recycling event. These statewide sponsors included The Home Depot, The Davey Tree Expert Company, Georgia Forestry Commission and WXIA-TV. Numerous local sponsors and volunteers also make contributions and provide in-kind services across the state. The Chipper program involves hundreds of Georgia communities and thousands of volunteers. Since its inception, the program has recycled an estimated 6 million Christmas trees.